Daniel Asia, Director of the University of Arizona Center for American Culture and Ideas, is a composer, conductor, educator, and writer. 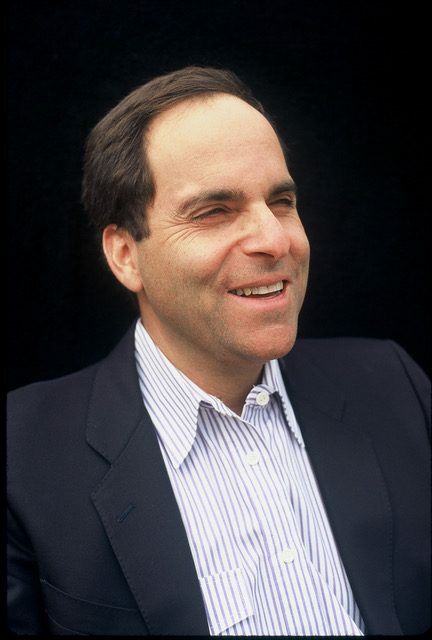 He is also a committed, knowledgeable, engaged Jew who has presented his acclaimed talk, Breath In a Ram’s Horn: The Jewish Spirit in Classical Music, at JCCs, synagogues, universities, and Hillels across the United States and London. His five symphonies have received wide praise from live performance, and the recorded works of Daniel Asia may be heard on the labels of Summit, New World, Albany, Attacca, and Mushkatweek. His articles have appeared in Academic Questions, The New Criterion, and the Huffington Post. Asia grew up in Seattle, WA, playing trombone, guitar, trumpet, recorder, and studying and praying at Temple Beth Am. At Hampshire College, he studied Music, History, and the Holocaust, and was part of the nucleus that shaped Jewish Life on campus. While at the Yale School of Music, he was at the center of Jewish activism in New Haven. Upon his move to New York’s Upper West Side thereafter, he became a founding member of the influential Minyan Ma’at. After extended residencies in Berlin and London, as the result of receiving a Guggenheim Fellowship and two Fulbright awards, and a five-year tenure at the Oberlin Conservatory, Asia has been head of the composition department at the University of Arizona, Tucson. Daniel Asia resides in Tucson. Daniel Asia takes you on an insightful tour of Israel’s 70-year history through the poetry of Yehuda Amichai, whose life and chronicles comprise a rich understanding of that dramatic history, in combination with Asia’s award-winning music and settings of Amichai’s poetry. The texts present an intriguing view of the Israeli experience, as Amichai unwraps and unravels the relationship between the people of Israel, the Jews, the Situation (Israel’s place in the Middle East, in all of its ramifications), the individual living in these circumstances, and his relationship to God and the natural world. Included are discussions of God’s presence, slaughtered chickens, Auschwitz, life in Jerusalem/Israel, universal riddles, soldiering, and the natural world. With winsome melodies and gorgeous harmonies, Asia’s music gives the texts curious and idiosyncratic readings. The musical language is wide and inclusive, and used to bring a deeper meaning and understanding to the texts. With his engaging and interactive style, Asia’s presentation and music will leave you with a deeper feeling for the history of Israel through this multifaceted artistic response.